The building that houses the current Royal Court Theatre was opened on 24th September 1888 under the name the New Court Theatre. Despite a successful opening production (Mamma) and the presentation of George Bernard Shaw plays, the building ceased to be a theatre in 1932. It was used as a cinema for brief period (1935-40) before bomb damage closed it. The interior was reconstructed, with the 841-seat capacity being reduced to 500. The theatre re-opened in 1952, emphasising the new writing alongside classic revivals (with the intention of creating a writers’ theatre). One of the most notable examples of this was the presentation of works by then-unknown John Osbourne (including Look Back in Anger, The Entertainer, and A Patriot for Me). The theatre continued to host premieres for writers who would go on to great acclaim, such as Edward Bond, Caryl Churchill, Simon Stephens, Timberlake Wertenbaker, Mark Ravenhill, and Martin McDonagh. The deterioration of the building led to the theatre being threatened with closure in 1995. With a £16.2 million grant from the Arts Council and the National Lottery, redevelopment began in 1996. The theatre reopened in February 2000, now with two performance spaces (the 380-seat Jerwood Downstairs, and the 85-seat Jerwood Upstairs Studio). 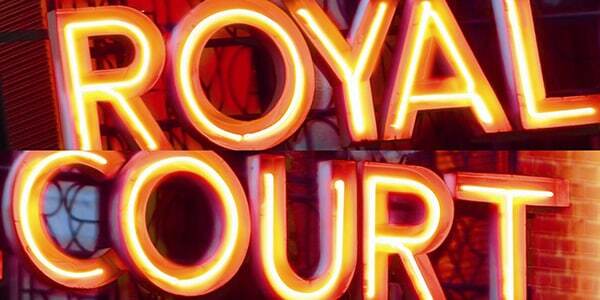 The Royal Court Theatre continues to support the production of new writing and international work. It accepts unsolicited scripts and runs a prestigious young writers programme.